Although they’re often doubted, female athletes across the decades have risen above the negative stereotypes and out-perform the men. Yes, before there were women’s leagues, ladies had to step onto the men’s tours in order to compete. These courageous women went head-to-head with the men and totally leveled the playing field. In 1975, one woman dubbed the “Female Ali” knocked out a male fighter in the second round. 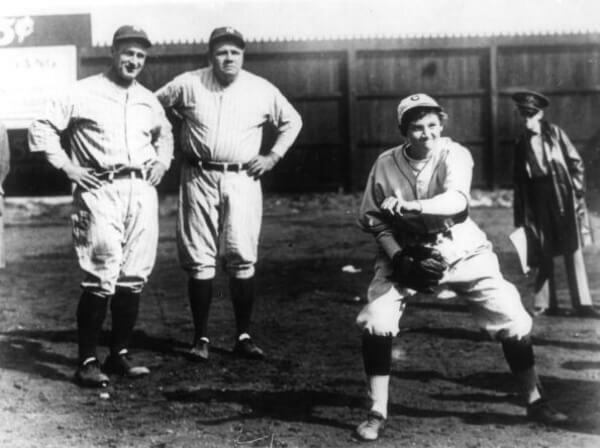 Jackie Mitchell made history as one of the first female pitchers in professional baseball. In 1931, Mitchell played for a Double-A baseball team, the Chattanooga Lookouts. They played an exhibition game against the New York Yankees, and Mitchell was called to the mound to pitch. At just 17 years old, Mitchell stepped up and struck out two of the best ballplayers ever: Babe Ruth and Lou Gehrig.